I have always been interested in the latest ETFs in Australia. Most people are collectors e.g. they collect stamps, coins, antiques, wine, or wristwatches. I personally like to collect investments. As such I has bought and continue to hold countless investments across many different asset classes. The problem with a passion in e.g. wine or wristwatches is that it may not be profitable (unless the wine or watch is so rare it goes up in value) but an obsession or passion in investments is one you can indulge in without any guilt. The latest ETF I have researched and purchased is the Betashares Active Australian Hybrids Fund (HBRD). The reason why I have purchased HBRD is because I feel at this stage I have an overweight exposure to stocks, so I want to reduce the risk of my portfolio. However, reducing risk usually involves investing in cash, bonds, or gold. However, these asset classes (with the exception of corporate bonds) pay low passive income thanks to the current low interest rate environment. Investing in HBRD allows me to reduce risk while at the same time getting about 4% or 5% passive income paid monthly. For a few years now I have been worried about the valuations of stocks and property, but I have been surprised that these assets continue to go up, so the derisking of my portfolio over the last few years has certainly cost me money as I have missed out on large price appreciation. (I also missed out on the cryptocurrency boom as well.) Nevertheless, I have little regrets because I believe in diversification i.e. spreading money across everything. My plan is to gain freedom by slowly building passive income through steady and consistent investment fueled by a minimalist lifestyle. I also believe it is better to be safe than sorry. I’d rather walk steadily towards my goal rather than run there in order to save some time and potentially slip and fall. As they say, everything looks good in hindsight. 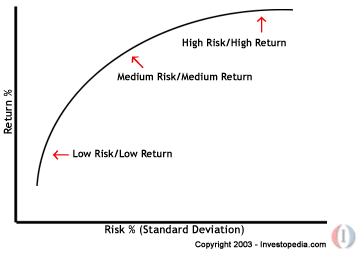 All investments have a risk-reward trade-off. The more risk you take, the more potential reward you have. For example, cash or government bonds are safe investments. Government bonds are guaranteed by government. In Australia, cash deposits are mostly government guaranteed as well. However, if you invest in government bonds or cash, you will earn little interest, perhaps 1% or 2% if you’re lucky. Bonds are merely IOUs. If you buy a bond, you are effectively lending money and in return you receive regular interest payments (called a coupon) as well as your money back after a certain period. In contrast to bonds, stocks are risky investments. Buying stocks allows the stockholder to vote (e.g. for who becomes a director) and allows the stockholder to earn dividends, which are simply payments made by the company to stockholders from profits. Stocks are risker than bonds because bondholders are paid before stockholders. If there is profit made by the company, bondholders are paid first and remaining profit is paid to stockholders. This also applies in the event of bankruptcy. Because stocks are riskier, companies need to pay higher dividends in order to compensate investors for taking on more risk. Dividends from Australian bank stocks such as CBA pay dividends of about 8% currently, but stock prices are volitile and can fluctuate wildly. Although bank stocks pay higher passive income, you are risking capital loss and dividend cuts should the banks become unprofitable. Hybrids are assets that are a hybrid of bonds and stocks. When you buy a hybrid, you receive regular income as you would a bond. However, under certain circumstances within the hybrid contract, the asset may be converted into equity. All hybrids are different, so it is difficult to generalise. Some hybrids have characteristics that make them more like bonds whereas others have characteristics that make them more like stocks. Regardless, hybrids sit between bonds and stocks on the risk-reward continuum and so can be expected to be less risky than stocks while still paying reasonably high income. As explained earlier, every hybrid is different. In order to understand whether a particular hybrid is more bond-like or stock-like, a careful study of the terms and conditions is required. Hybrids are complex investments and as such is suited to active management and oversight by experts, which is what HBRD provides. Although a good case can be made for active management in hybrids, active management has its issues. You are putting your trust in people, which is generally not a good idea. Nevertheless, I do not intend to put everything into HBRD but will instead spread money across lower risk investments with high passive income. There are another ETF also issued by Betashares that invests in corporate bonds (ASX: CRED). Corporate bonds are higher risk than government bonds thereby allowing higher yields. CRED also pays monthly income, which is very attractive for people who live off passive income (such as myself). One of the frustrations with hybrids is that there is very little information about it. For example, if you research cryptocurrencies such as bitcoin on the internet, you will find a neverending flood of information, YouTube videos, etc. Bitcoin is a global investment that everyone can access. Hybrids, on the other hand, have few exchanges and are mostly purchased by institutional investors off exchanges. There is little information on the internet about hybrids. 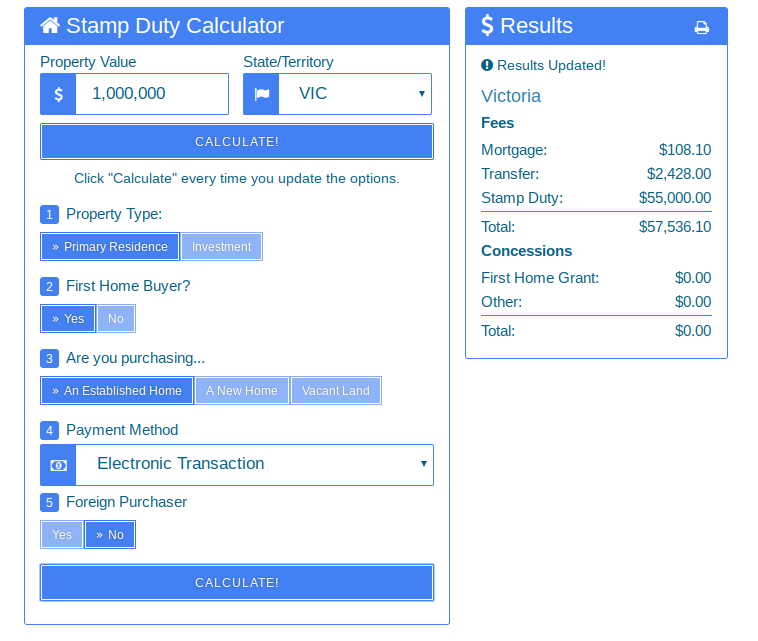 Another consideration is that HBRD purchases hybrids from Australian banks, which are heavily exposed to the Australian housing market. There are currently fears of a slowdown in the property market. Nevertheless, Australian banks do not hold the property itself but rather the mortgages used to buy the property. So long as borrowers keep making their interest payments and paying their fees, revenue should be unharmed. Hybrids are issued all around the world, so the returns on hybrids should correlate with global interest rates. In the recent rising interest rate environment, this should mean higher returns from hybrids but more interest cost for Australian banks as wholesale credit becomes more expensive. Nevertheless, Australian banks do have considerable market power allowing them to respond to rising cost of global wholesale credit by raising interest rates or fees. There is a rule in the personal finance community called the 4% rule or safe withdrawl rate (SWR). It basically states that once you are retired you live off 4% of your net worth, which is the safe amount to spend to ensure you don’t run out of money. The 4% rule is based on the Trinity Study which looked at a portfolio of 50% stocks and 50% bonds to see how likely it was to run out of money over 30 years. The video above shows how complicated the four percent rule can be and why it is better in my opinion to simply live off your investment income (dividends, rent, interest, etc) as there is no calculation involved and no work. Everything is on autopilot. That being said when living off dividends there is a trade off between income and growth (see The Problem with HVST) and this is where I think the four percent rule can be used as a guide. If your dividend income is more than 4% of your net worth, invest more in growth assets whereas if your dividend income is less than 4% of your net worth, invest in income-producing assets. To address this issue, I have simply opted for a 50% dividend reinvestment plan, which will see half the dividends go back into buying units in the ETF in order to maintain value. Assuming HVST continues to pay 14% yield and that 50% DRP is enough to prevent capital loss, HVST still provides 7% monthly distributions, which in my opinion is fairly good. Generating sufficient monthly distributions is very convenient for those who live off dividends as waiting three months for the next dividend payment can seem like a long wait. However, Betashares have now introduced two new ETFs on the ASX (EINC and RINC) based on existing managed funds from fund manager Legg Mason. Based on the performance of the equivalent Legg Mason unlisted managed funds, these ETFs are very promising for those who live off passive income. These ETFs have high dividend income (around 6 to 7 percent yield) paid quarterly, and based on past performance at least, there doesn’t seem to be any issue with loss of capital. RINC (Betashares Legg Mason Martin Currie Real Asset Income ETF) derives its income from companies that own real assets such as real estate, utilities, and infrastructure whereas EINC (Betashares Legg Mason Martin Currie Equity Income ETF) derives its income from broad Australian equities. The expense ratio of 0.85% is on the high side but not unsual for this type of fund (income focussed and actively managed). Another potential risk to consider is the impact that rising interest rates can have on many of these investments, especially “bond proxies,” into which RINC and EINC seem to invest exclusively.